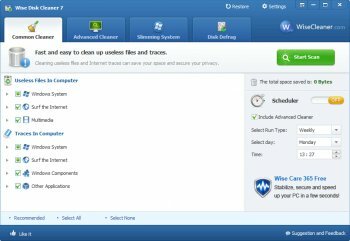 Wise Disk Cleaner is a user friendly, fast and easy to use application developed to free up disk space by deleting junk files.Wise Disk Cleaner scans junk files and delete these junk files in windows system, your system will can work better and more quickly.Wise Disk Cleaner can scan more than 50 types of junk files, and you can freely add the type of junk file which you consider. I think they need a new d/load page as the redirect if using Adguard has blocked access to this page. This web page at .hotdownloads (dot) com, has been reported as a malware page. Great program, highly recommended ! Simply superb. 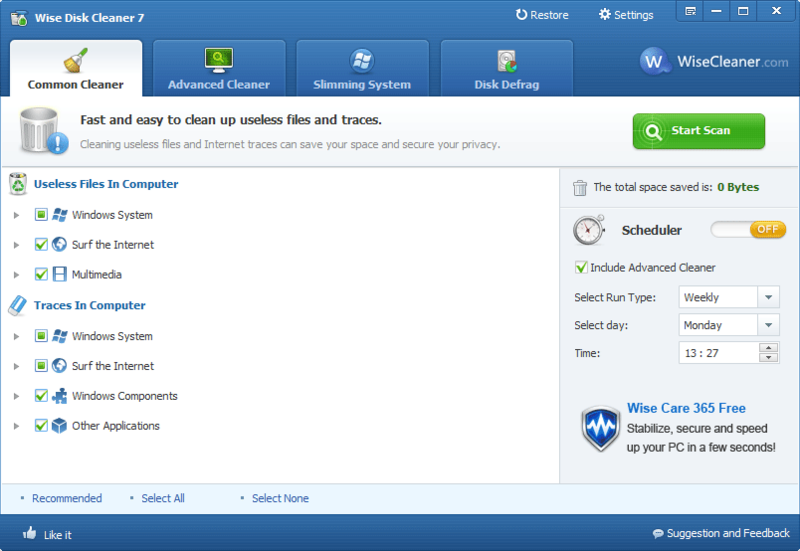 Finds and removes what Ccleaner misses. First class program - A worthy 5 stars. I've actually used Wise Cleaner for some years, even before it was free actually. It's never caused me any problems & does a good job - One of my must have programs.